Beautiful, sparkling Aqua is fabulous summer-pool blue. A little greener than the Turqoise, its great against a tan! 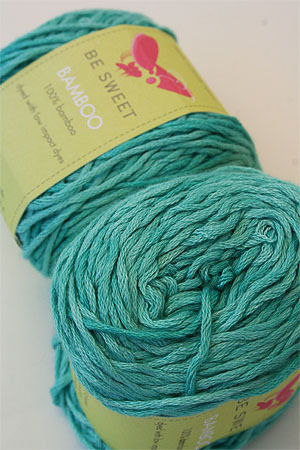 A lovely bamboo yarn with a slight sheen that is a great summer and spring fiber.